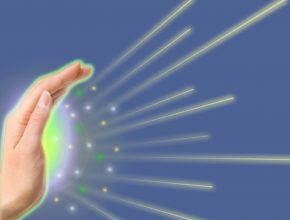 Many people often ask me ‘what is Pranic Healing?’ and how exactly you heal? I personally very strongly believe that we (all flora and Fauna) are connected with Energy (Cosmic energy) which is present among all the universe, be it mountains, rivers, animals, stars, planets and even in all galaxies. You may name it Life Energy, Chi, Prana, Ki, Ka, Pneuma, etc. Well, this cosmic Energy, that is present among everything and everywhere, is the same force which connects all matters (animate as well as inanimate objects) together like a thread in garland! Whenever we fall ill or get some sort of physical wound, this energy changes its level (Imagine you punctured a water bottle and water starts escaping from the point you punctured) The main principle of Pranic Healing is to detect such spots (called as energy depletion spots) and heal them so that the Energy stops depleting from the ethereal body and speed up the process of healing! To put it in straight words, this is an alternative healing method where healer search for energy depletion spots (scans) by palms and then removes the infected energy and fill the gap caused after removal of this energy with new fresh energy which the healer gets from earth or sky. For this process the healer must have very sensitive hands and this can be achieved after years of practice. This is non-touch healing technique where healer don’t need to touch the patient to heal. 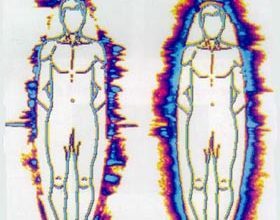 This healing technique recharge the Chakras and revitalise them, as each charka is associated with specific function in the body. To summarise in one sentence, this healing technique is based on Chakra healing through removal of negative energy and replacing it with fresh energy. Its all matter of belief and bonding between the patient and healer. The interesting part is that, one can be healed from a distance also (1000’s of miles away also) as I said at the beginning, we are connected with each other by same cord or energy and through this is it possible to heal a person located even at another place! If you need more information or need healing session from me you can write me, I will be happy to help. May you be filled with good positive energy always!